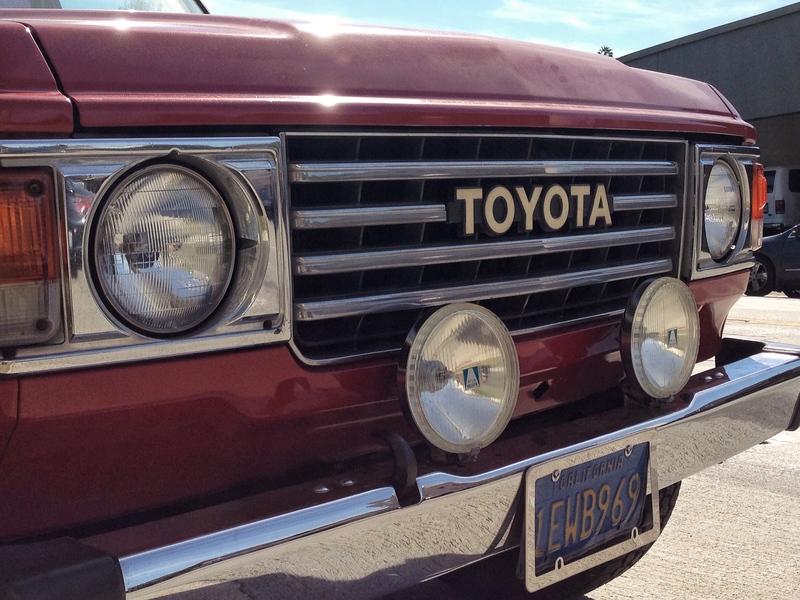 Toyota Pickup trucks are a popular breed in Southern California. 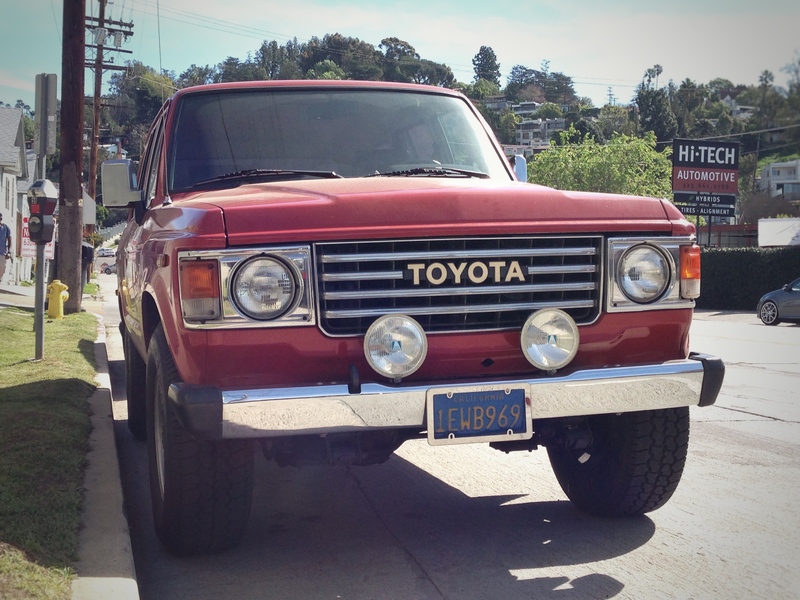 As with many of the vehicles roaming LA streets, this Toyota enjoys sunny weather and no snow. And unless you are close to the beach, that means no salt and no rust. This one is a clean example of Toyota’s iteration of the 4×4 pickup from the early 1980’s. It appears to be repainted and I wouldn’t doubt this has been restored very recently. I can’t really pinpoint this color – any opinions? There revered Toyota 4Runner, still in production today, was once not much more than a Pickup with a cover and extra seats. This 4×4 Hilux has a decent lift and rocks upgraded rims and tires. Looks ready to tackle off-road trails! For the first generation N60 series Hilux Surf and export specification 4Runner introduced in 1984, Toyota, instead of developing an entirely new model, modified the existing Hilux (N50/N60/N70) with short-bed pickup body. The Hilux had undergone a major redesign in 1983 for the 1984 model year. Changes included the removal of the panel with integrated rear window from behind the front seats, the addition of rear seats, and a removable fiberglass canopy. The implementation was borrowed from both the second generation Ford Bronco, and the Chevrolet K5 Blazer, both short-bed trucks with removable fiberglass shells over the rear sections and having bench seats installed in the back. Like the Bronco and the Blazer, the Hilux Surf/4Runner also did not have a wall attached to the front section behind front seats as the regular Hilux did. In that sense, all three vehicles were not conventional pickup trucks with a fiberglass shell included. In North America, they were sold from the 1984½ model year from May 1984. For this first year (March to July 1984 production), all models were equipped with black or white fiberglass tops. An SR5 trim package was offered that upgraded the interior: additional gauges, better fabrics, and a rear seat were standard with the package. All 1984 models were equipped with the carbureted 2.4 L 22R engine and were all available with a four-wheel-drive system that drove the front wheels through a solid front axle. 1985 (August 1984 production) saw the arrival of the electronically fuel-injected 2.4 L 22R-E also called 22R-EC I4 engine. This upped the horsepower numbers from 100 hp for the 22R, to 116 hp for the 22R-E Engine, though the carbureted engine remained available until 1988. 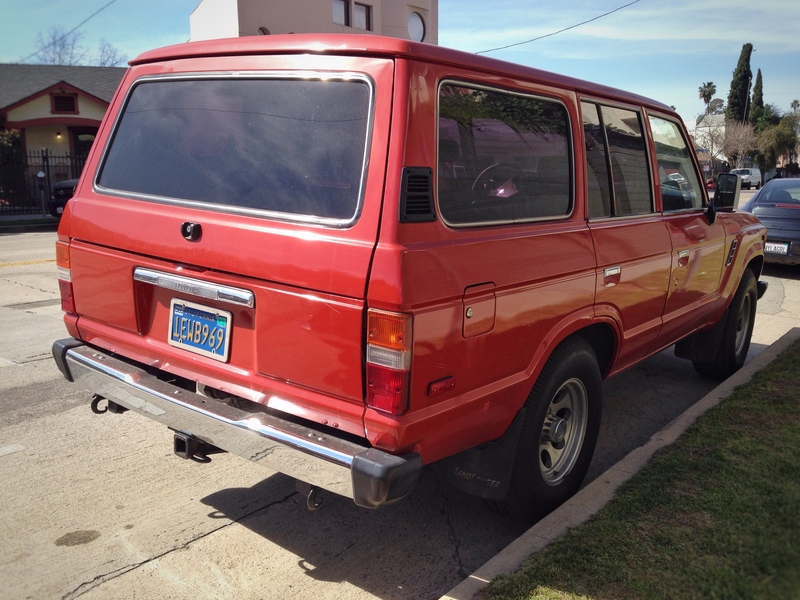 Additionally, rear seats were available in all 1985 4Runner trim levels, not just the more upscale SR5. The infamous Toyota Land Cruiser. They just don’t make them like this anymore – and by that I mean big, reliable and void of creature comforts. Of course it gets awful gas mileage and rides like a brick with wheels but that’s all the fun! The J70 was introduced as a soft-top, hard-top, FRP top, utility, cab-chassis, and Troop Carrier (inward facing rear seats).The petrol engine was replaced with a 4.0 L 3F engine. 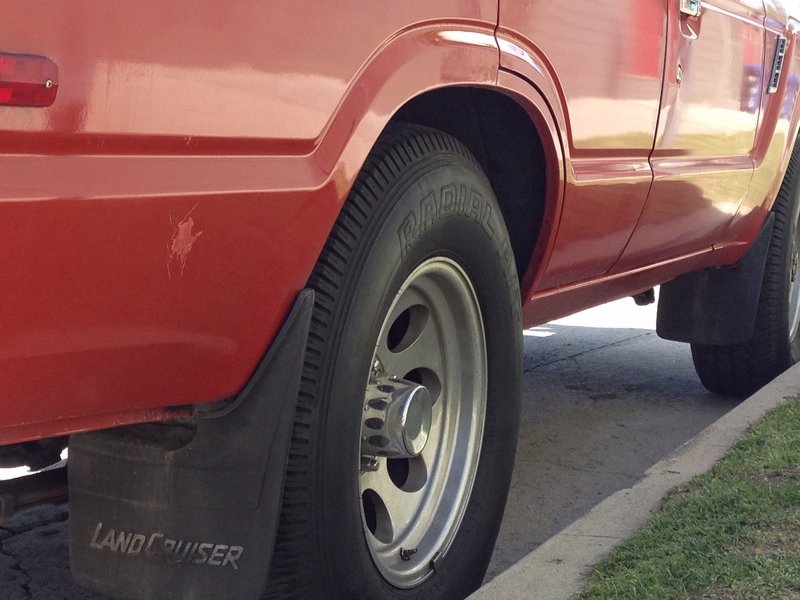 The 70 Light had a four-wheel coil spring solid-axle suspension for better ride quality. This lighter duty version of the Land Cruiser had the 22R 2.4 L gasoline engine, 2L and 2L-T (turbo) 2.4 L diesel engines commonly found in the Toyota Hilux. The 70 Light was sold in some markets as the Bundera or the Landcruiser II, later called 70 Prado. The 70 Prado eventually became popular and evolved into the 90. An automatic transmission (A440F) was introduced making it the first four-wheel drive Japanese vehicle with an automatic transmission.